Sresta’s ready to cook range comprises Ragi Idly Mix, Millet Dosa Mix, Kanda Poha, Gojji Avalakki, Biryani, Kichidi, Pongal. These are traditional and authentic recipes with “home made” taste. All these are easy to prepare (that is, by just adding water to it and it will be ready in 5 min to 15 mins). The Bites is a snacking range, made of wholegrains, baked (not fried) and there is no MSG in these. The Methi Atta with 7 Grains from the company’s stable is for diabetic management. Interestingly, its Quinoa is grown in India while most of the brands are importing it, said N Balasubramanyan, CEO, Sresta Natural Bio Products. 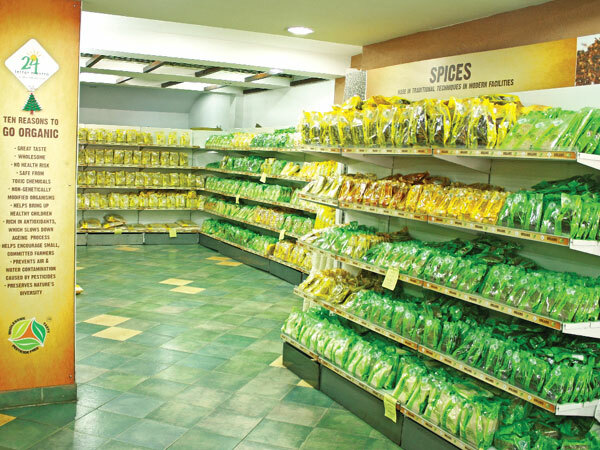 Sresta, already has a 65 per cent market share in organic foods business in the country. Significantly, Organic foods market in India is estimated to be over $0.50 billion (nearly Rs 400 crore) and is projected to treble in the upcoming years, reaching up to $1.36 billion over the next four years (by 2020). Overall, the organic foods segment in the country witnessed an estimated 25 per cent to 30 per cent growth in the recent years and is now set to grow 50 per cent year on year. Indians are increasingly demanding healthier food and the government – both at the national level and at state levels are pushing for and supporting organic farming by all means. As a result of all these, organic farming is also on the rise in the country. Not only in India, organic food products branded under ‘24 Mantra’ are retailed in over 15 countries including the US, Canada, Europe, Middle East, GCC, Mauritius, Reunion Islands, Singapore, Malaysia, South Africa, he said. The company, at present works with 45,000 farmers cultivating 2,25,000 acres across 15 states of India and offers more than 200 products under its flagship brand and it keeps on adding at least 15 new products each year, says Balasubramanyan. At present, the company has 25 processing facilities, of which 4 are company owned and the rest 21 are third party facilities. It has been continuously expanding its farming base as well as processing facilities. Explaining why their farming model is unique, Balasubranyan said that from their end, they closely monitor the organic methods and ensure that from seed to kitchen, every detail is given the attention it deserves. Actually, its practices stem from its values and beliefs – adhering to organic integrity, earning consumer’s trust and creating a sustainable platform for its farmer friends. Secondly, the company ensures quality by choosing the right seed, soil and climate. This is very important because every crop and food has its soil and climate determined by nature. Like cotton needs black soil, so also the range of crops our farmers grow. In fact, its emphasis is on taking maximum advantage of the varied agro climatic zones and produce crops that are native to the particular place and also take into consideration that it will yield quality produce. “Our practices stem from our values and beliefs – adhering to organic integrity, earning your trust and creating a sustainable platform for our farmer friends. Buying 24 Mantra from Sresta means you are a votary of the healthy, nutritious movement. Like our farmers and us, you have decided to keep the planet in a sustainable state, to reduce the chemicals and pesticides, keep the air and water clean and of course keep the soil alive. And that’s how we position and promote our products,” said Balasubramanyan.